Let’s get this straight. The Bucs have a great offense…til we get inside the 20-yard line to that dreaded Red Zone. 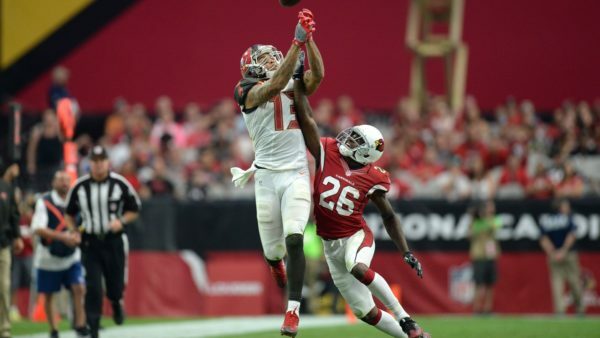 You would think with the weapons the Bucs possess in 6’5 Mike Evans and 6’5 Vincent Jackson that those cannons would fire off six shots after they got there, but that’s not quite the case. One thing is for certain, the Bucs are below average in Red Zone scoring attempts ranking 21st at 2.8 per game. At home it’s an above average ranking with 3.5 Red Zone attempts per game, good for 14th in the league and heavily bolstered by the home loss to the LA Rams which they went four of four in the Red Zone. The Buccaneers defense ranks 5th. But has it truly progressed since last year? Bucs Hope To Improve On Red Zone Efficiency This Year. Next articleJosh Norman believes NFL holds a double standard.